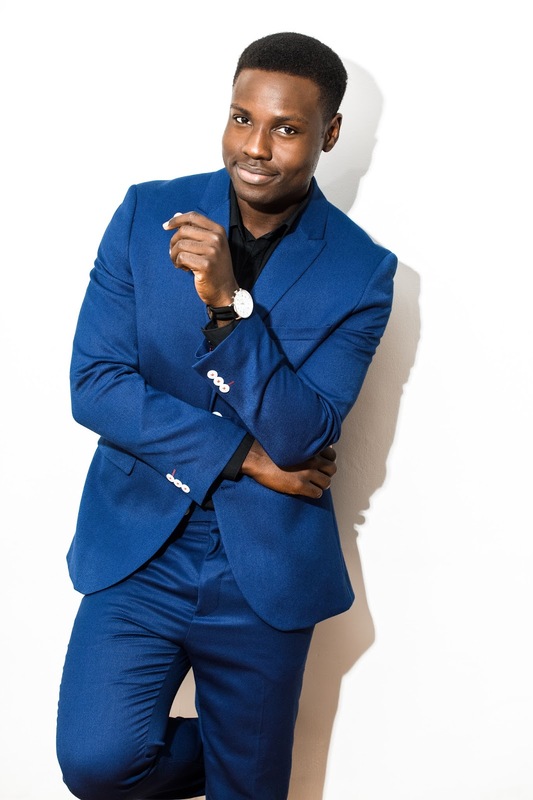 Millions of “Hunger Games” fans remember Dayo Okeniyi as Thresh, the District 2 tribute who saved Katniss’ life when Clove was about to kill her (he overheard Clove admitting to Katniss that she was the one who killed Rue, Thresh’s fellow District 2 tribute, so he snapped Clove’s neck in a rage). And millions more moviegoers will recognize him as Danny Dyson from “Terminator Genisys” (with rumors of a sequel abounding). But millions of television watchers are now going to get to know him as Michael Loman, the newbie detective on NBC’s newest cop drama called “Shades of Blue,” which also stars none other than Jennifer Lopez and Ray Liotta. The series makes its debut tonight, Jan. 7 at 10/9c, and I spoke with Dayo recently so he could give me the scoop on this intense new drama, as well as a little “Hunger Games” scoop. Celebrity Extra: With the long “Hunger Games” road coming to an end with the November release of “Mockingjay: Part Two,” how do you look back on your time filming that blockbuster hit? Dayo Okeniyi: Because of “Mockingjay” being in theaters now, “The Hunger Games” has been on TV a lot lately. Last night I was just flipping through channels — I was watching the football game and they were at halftime — and I stopped on ABC Family, and they’re showing my big scene from the movie, and I got so fricking excited. That movie still fricking excites me. I can still feel the jitters from when I got the callback for the part. I still love that movie. Love, love, love, love, love. CE: I know you’ve got plenty of movie experience, but tell me how the change to serial television has been. DO: I love TV because I just love the idea of telling a longer story. I love the linear idea of being the character, and watching that person live over the course of a series or a couple of seasons. And as an actor, it’s just amazing because you get to play every facet of a human being. Usually with a movie, it’s two hours long, and so you have to come up with a crazy excuse for why somebody goes through a very dramatic arc within an hour and a half. Human beings aren’t like that. We grow and we live and we learn, and over the course of years we become the people who we are in the moment. It gives you the chance to stretch as an actor. And then “Shades of Blue” came along, and I read the script and I was like: “Oh my God. This is amazing.” And then you hear Ray Liotta’s involved and Drea de Matteo’s involved — and Jennifer Lopez! I mean, come on! CE: Tell me what sets this apart from other cop dramas on television today. DO: NBC is pushing the envelope, and I think fans are going to be surprised to see a network studio making a show like this. I’m reading the script, and some of the things I’m reading, I’m like, “Can we do this on NBC? This is not HBO.” This is some risqué stuff. NBC picked the best people for the part and tried to assemble a cast that really reflects what America looks like today. Just the honesty and brutality and beauty and truth of the writing — I was very surprised. The show is not a procedural show. It’s a serial type of show; it feels like a movie. That’s the type of television I love, whether it’s “Breaking Bad” or “Empire” or “The Sopranos” — serialized television where you get to live with these people. And the cool thing about our show is it has that high-stakes element to it all the time. And at the end of the day, you want to be a part of something that you would want to watch yourself. CE: Tell me about your character, Michael Loman. DO: This character is something that I have never played before. With Thresh in “The Hunger Games,” I was the strong, silent type, you know, still waters run deep. And I really wanted to play something different. There’s something about this character in that he wears his heart on his sleeve. And in this world that we live in, it’s very tough to be that person. He’s a new detective and fresh on the job with Ray Liotta’s crew, and he jumps into the deep end. When the show starts it’s his first day, and a lot of stuff goes down. Over the course of 13 episodes, we get to really learn the truth of what it’s like to be a detective in modern America. And I just love the script. When writers are that good, your job is very, very simple. I just feel blessed beyond description. CE: I like this new trend of TV series running for fewer episodes, with those episodes packed full of action and storyline progression. DO: Me too. I love the fact that a lot of shows nowadays are going in that direction of shorter orders of carefully put-together quality television. And the nature of our show is that it moves quickly. The immediacy of the situation is always at play with every episode, which is one thing I really like. CE: Tell me about your character and how he fits into the fabric of the show. DO: Michael Loman is the wild card. 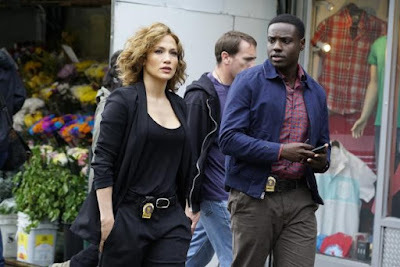 And I say that because when we start off the show, Ray Liotta’s crew — with Jennifer Lopez, Drea de Matteo, Hampton Fluker and Vincent Laresca — they’ve been together for a very long time. And they’ve developed a friendship and a bond and a lot of belief in what they do, although it is questionable. My character, Michael Loman, has just made detective, and he’s assigned to this task force; he was requested by Ray Liotta’s character, Lt. Wozniak. So you have to think, why would Wozniak choose this character to join them? Is there something about Loman’s past we don’t know? Is Wozniak using him? Or does Wozniak see something in him? There are a lot of things with this character that we’re unsure of, and as the story starts to unravel, he finds himself in compromising situations and questions if he can remain the person that he came into this force as. CE: What is it like working with Ray Liotta? DO: Ray is one of my top 10 favorite, most dynamic actors of all time. And “Goodfellas” is one of my favorite movies; I can quote it from beginning to end. I just try not to geek-out on set. But I’ll go home and call my buddies and be like, “Ray Liotta just told me in a scene, ‘Let’s go for a ride.’” Because if Ray Liotta tells you in a movie, ‘Let’s go for a ride,’ you’re going to die. So, I remember reading one of the drafts, and Wozniak comes up to Loman, and he’s like: “Loman, put down the phone. Let’s go for a ride.” And I was like: “Oh my God! Am I going to die?” I’m pretty sure I’m the first person to go for a ride with Ray Liotta and not die (laughs). CE: Jennifer Lopez is an executive producer as well as the star of the series. How was she to work with? DO: Awesome! To be honest, when I found out I was going to be part of the show, I was nervous about Jennifer because she’s never done television like this before. And she really is a musician at heart. But I’ll tell you, when we had the table read, as soon as she opened her mouth, everybody’s jaw dropped. She had such a handle on this character; it was incredible. And like you said, she’s an executive producer on the show, and so she was integral in the development of it. She showed up on set and gave 100 percent every single day. She was so committed to the role and committed to keeping it gritty; there was no vanity involved. She was so awesome, so giving, and so loving as a person and character. It was a pleasure and an honor to work with her.